The Monastery was founded in 1870 by Fr Ignatius with the aim of restoring monastic life to the Church of England, and it remained in monastic use for over forty years. Eric Gill, the sculptor and typographer, lived there from 1924 to 1928. It has been owned by the Knill family since 1985. The Trust holds an annual pilgrimage to Capel-y-ffin and the Abbey Church, including an optional 3½ mile walk from Llanthony to Capel-y-ffin along the eastern side of the valley. 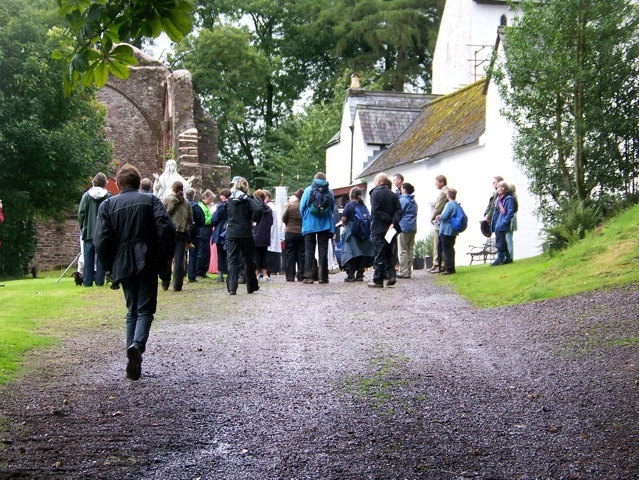 The date for this year’s pilgrimage is Saturday 17th August 2019 (please see the News page for more details). The Trust objectives include the care of Ignatius’ ruined abbey church, and the nearby Wayside Calvary and statue of Our Lady, as places of pilgrimage, prayer and worship. Although the church is is now structurally unsound and unsafe for public entry, it remains a focus of the annual pilgrimage. There is a collection of Father Ignatius Memorial Trust archive material at Abergavenny Museum. We have also made some documents and articles available on the website on the Documents page. We aim to keep the memory of Ignatius alive and to continue the annual Pilgrimage. You are warmly invited to make a donation and to become a Friend of the Father Ignatius Memorial Trust by subscribing to the Trust Newsletter. (See the Help Us page). 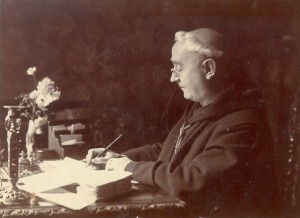 Fr Ignatius OSB (Revd. Joseph Leycester Lyne, 1837-1908) was a prominent figure in the Catholic Revival which swept the 19th century Church of England. As a young man he resolved to restore to it the monastic life lost at the Reformation, and devoted the rest of his life to this aim. Father Ignatius Memorial Trust shared a post. The Trust needs funding to help care for the Abbey Church, the Wayside Calvary and the statue of Our Lady, to aid production of the Trust Newsletter and to allow the annual Pilgrimage to continue. To contribute, please see the Help Us page – your subscription &/or donation will be much appreciated. The Father Ignatius Memorial Trust is a registered charity (Charity Commission Registration Number 253225).